We watched this video today during the end of AVID class. Interesting phenomenom. 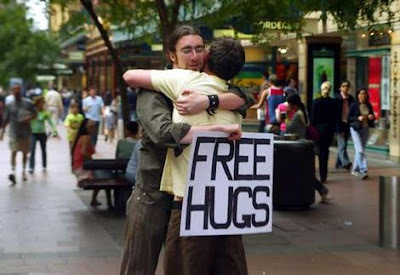 One man - giving free hugs. Millions of people see the video. Isn't it amazing that a video like this can result in world wide fame and change people's lives so much? What did you think about the video? Leave a comment.